Available now at Seventh Window, Amazon, Barnes and Noble, and All Romance Ebooks, Light and Shadow by GL Roberts. Writing, not just a passion for me, consumes my every waking thought. I see stories in everyday life, in the faces of strangers, on the backs of seagulls, and in every word uttered or not. The packaging on the oatmeal box, the bumper sticker on the car in front of me at the gas station. Even the soft voice of the old woman behind me in line at the post office. Consumed by stories can be a frightening thing. I find that I am always watching, wondering, observing, thinking, composing. Sometimes my mind drifts and I forget to eat, busily writing down the thoughts that crossed my mind at work and were jotted down on a small notebook I keep in my apron pocket. An addiction best acknowledged when alone. 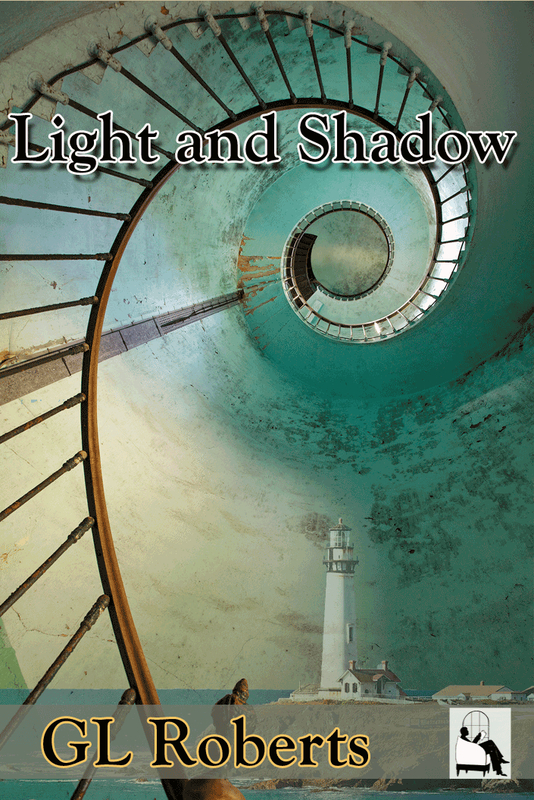 Light and Shadow began as a story about two people, drawn to the light that fills the lantern room of a lighthouse. A light that meant safety to the man who once rode the swells in search of boats in distress. To the other, the light represented all the romance of the sea wrapped into one tall tower manned by a lone lighthouse keeper. The two crossed paths one day and began to discuss the old abandoned lighthouse they were both looking at that now sat quite alone out on the stark peninsula. From there, a story was born.